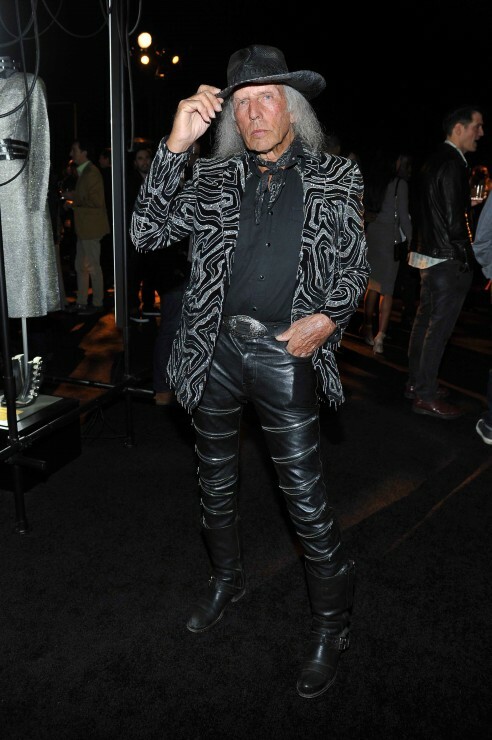 You are currently browsing the archives for the tag 'Grande Champagne'. What happens if four French luxury houses join forces? They surely design something very special that exudes rare craftsmanship and unbroken tradition. 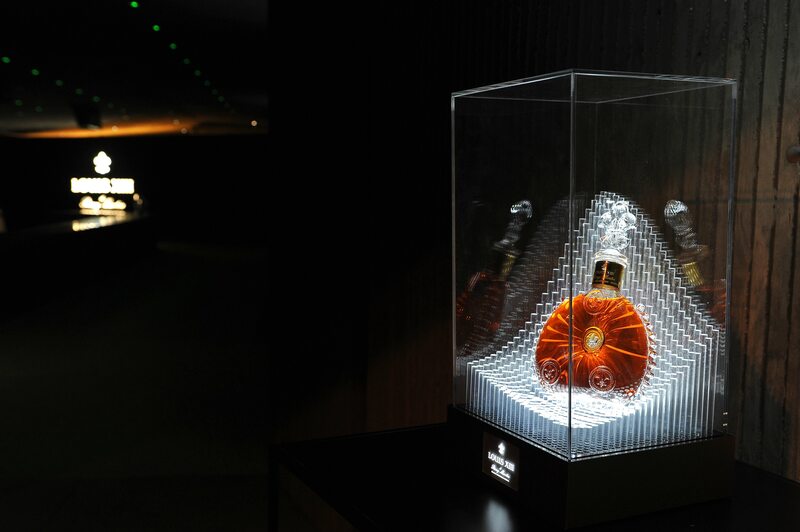 Offering a bespoke tribute to one of the world’s most storied Grande Champagne cognac’s mythical journeys through the ages, LOUIS XIII has collaborated with HERMÈS, SAINT-LOUIS, and PUIFORCAT. 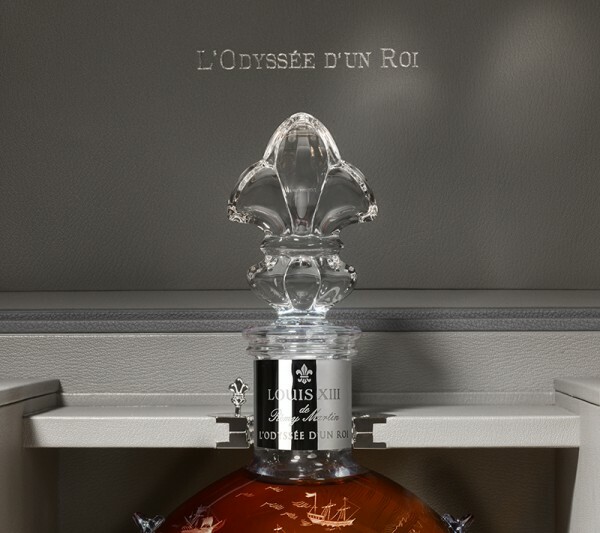 Each of them contributing their own expertise and centuries-old savoir-faire, they have created together a series of three one-of-a-kind masterpieces, L’ODYSSÉE D’UN ROI (JOURNEY OF A KING), that is paying ode to the travel heritage of the famous cognac house. LOUIS XIII has been present at every milestone in the history of luxury travel — from the legendary bar-car of the Orient-Express to the first-class lounge of the S.S. Normandie ocean liner to the sleek cabin of the supersonic Concorde jet. To pay tribute to this heritage of adventure and discovery, L’ODYSSÉE D’UN ROI is inspired by the first shipments of LOUIS XIII in the late 1870s and the iconic journeys that followed to the farthest corners of the globe. The three trunks will be offered in a special 1-lot sale in different auctions at Sotheby’s, one in NYC on September 10, 2016, one in Hong Kong on October 1, 2016 and one in London on November 16, 2016. Each masterpiece is unique, its design and contents are inspired by the continent for which it is destined. 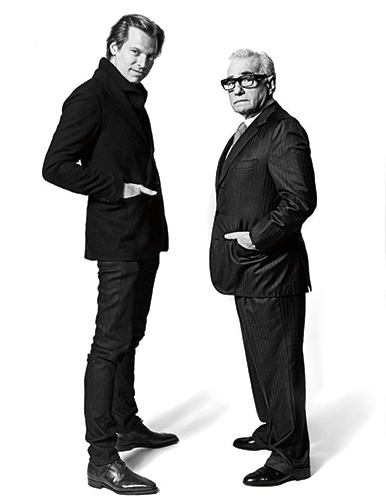 All proceeds will be benefiting «The Film Foundation», a non-profit organization founded by Martin Scorsese and other leading filmmakers in 1990 to preserve and restore classic films, ensuring their survival for future generations. In this same spirit of preservation, the house has pledged to replant 115,000 oak trees in France in partnership with ONF (French National Forest Office). 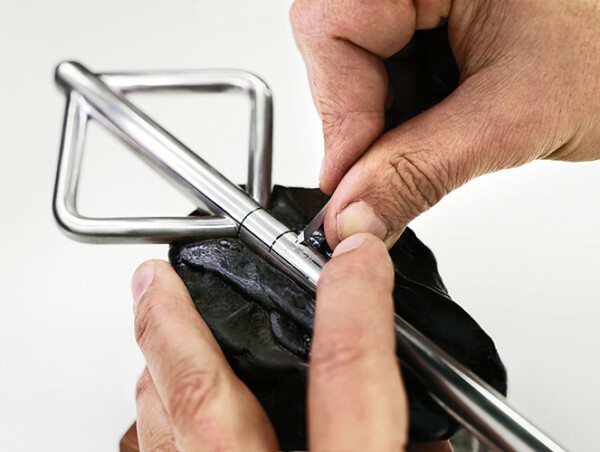 Let’s have a closer look at those masterpieces that were created by more than 5o individual artisans that devoted over 1000 hours per piece to produce the three bespoke creations. • A beautiful book that chronicles LOUIS XIII’s mythical journeys that begin on a 16th-century battlefield in rural France but will touch every corner of the globe. 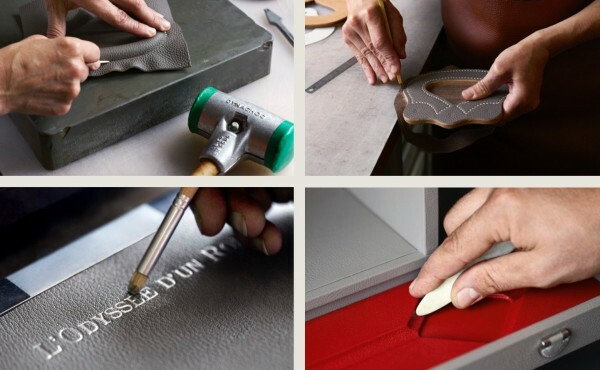 • A bespoke trunk hand-stitched by HERMÈS using the finest leathers and evoking a bygone era of luxury travel. 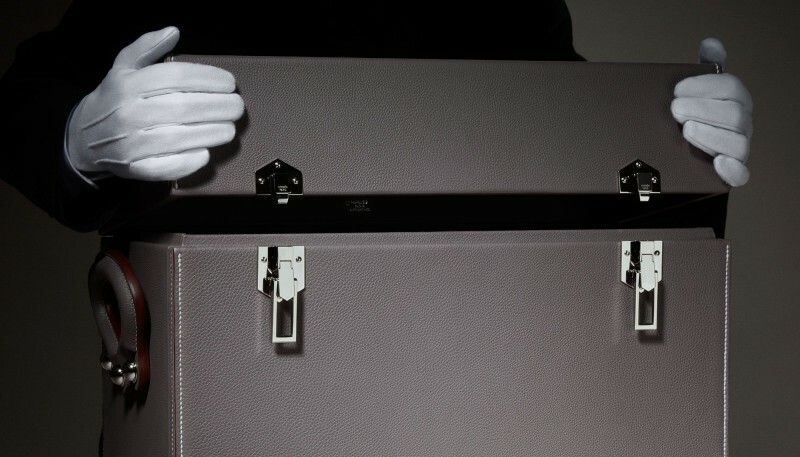 This bespoke trunk was hand-stitched by HERMÈS using the finest leathers. Modelled on a classic steamer trunk — the kind that would have been taken on an ocean liner or a long journey by train — it evokes a bygone era of luxury travel. 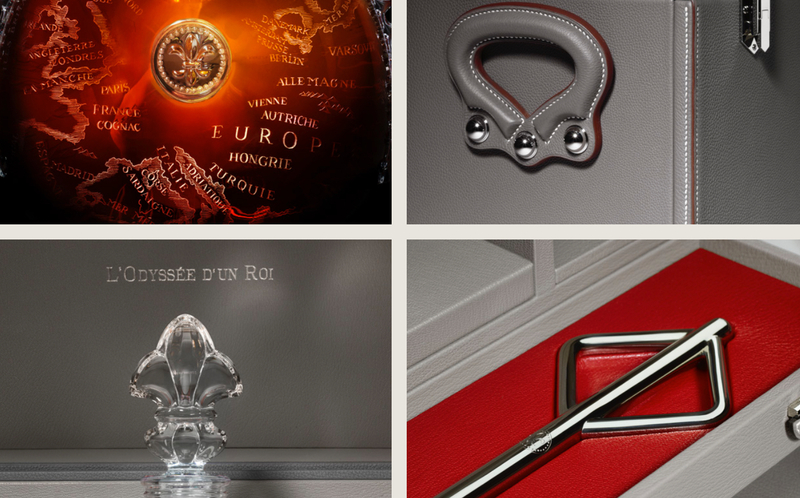 In fact, the handles are exact replicas of those used for HERMÈS from the 1920s and30s. 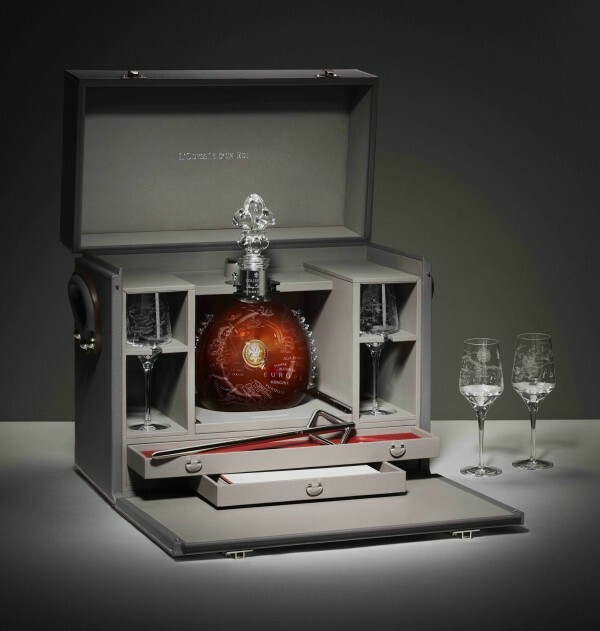 Of course the design of the interior was created for a very precise function, which is to luxuriously house a unique magnum decanter of LOUIS XIII. This unique object is a suitably grand conveyance for this unforgettable journey across space and time. • A white gold pipette forged by the Art Deco silversmith PUIFORCAT for the ritual of service. This white gold pipette was forged by hand by the Art Deco silversmith PUIFORCAT for the ritual of service. The method is centuries-old: the craftsman spins a plate of silver on a mandril, which is a tapered piece of wood that turns horizontally. He uses a simple tool called a “spoon” to give shape to the object. Several passes are often needed for a piece to take on the desired contours. These steps are punctuated by “annealing,” a controlled heating process used to soften the metal. Etching is another whole step: the piece is wedged on a leather pillow full of sand. 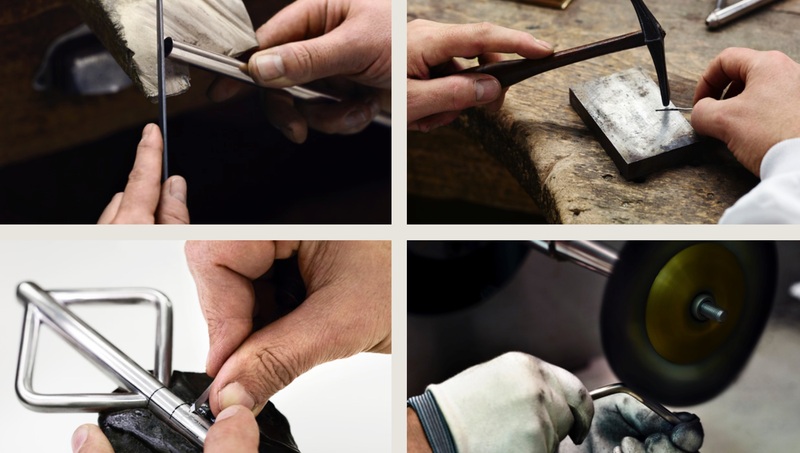 With thin notches made on the surface of the metal, the craftsman can draw a coat of arms or some other decorative pattern with exquisite precision, honed through decades of practice. • A sublime crystal decanter and four elegant serving glasses — mouth-blown, cut and wheel- engraved by hand at the royal cristallerie SAINT-LOUIS. 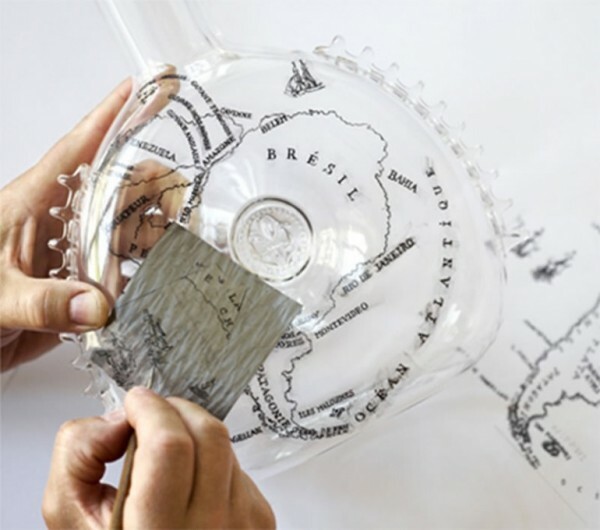 Each decanter is etched with a 19th-century map of the continent where it is bound. 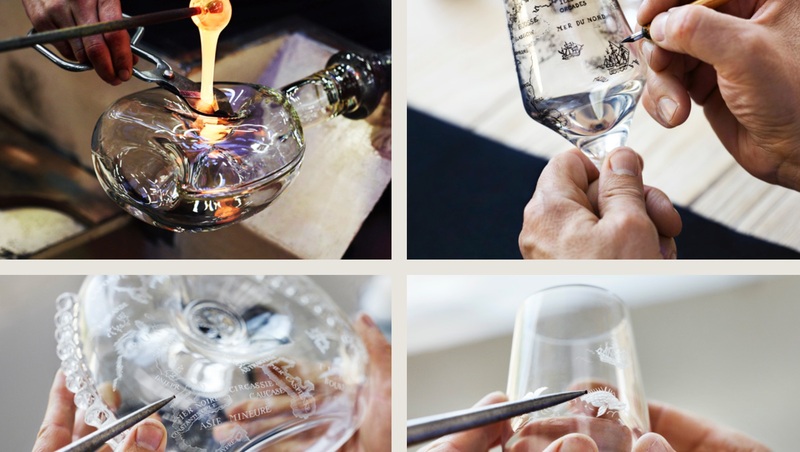 Three sublime crystal decanters and 12 elegant matching serving glasses were blown, cut and engraved entirely by hand at the royal cristallerie SAINT-LOUIS. The ancient, painstaking technique of copper-wheel engraving has given these crystal works their regal profile. Each magnum-size decanter was additionally etched with a 19th-century map of the continent where it is bound. 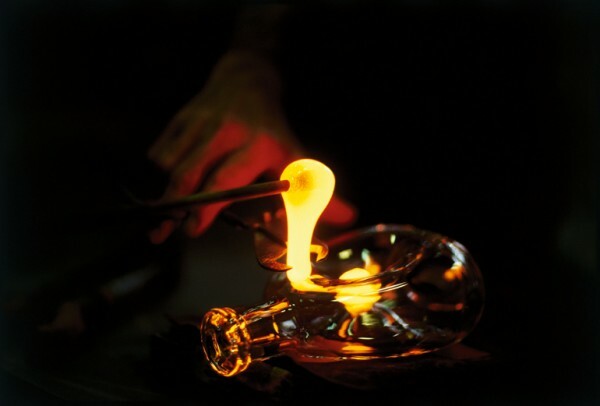 For this project, SAINT-LOUIS capitalized on the savoir-faire of more than 10 craftsmen — including four glassblowers, one engraver, and a specially trained artisan to apply the palladium trim to each crystal object. The crystal was heated to over 1,400°c degrees and then mouth-blown at around 1,200 °c. Each glass required 110 man-hours of work while the magnificent decanter itself took no less than 270 hours to accomplish. • A blend of LOUIS XIII Cognac enriched with a selection of the house’s oldest treasures from Grande Champagne, that each cellar master pass on to each other, from generation to generation. A very special spirit revealing flavours that are at once singular and complementary. 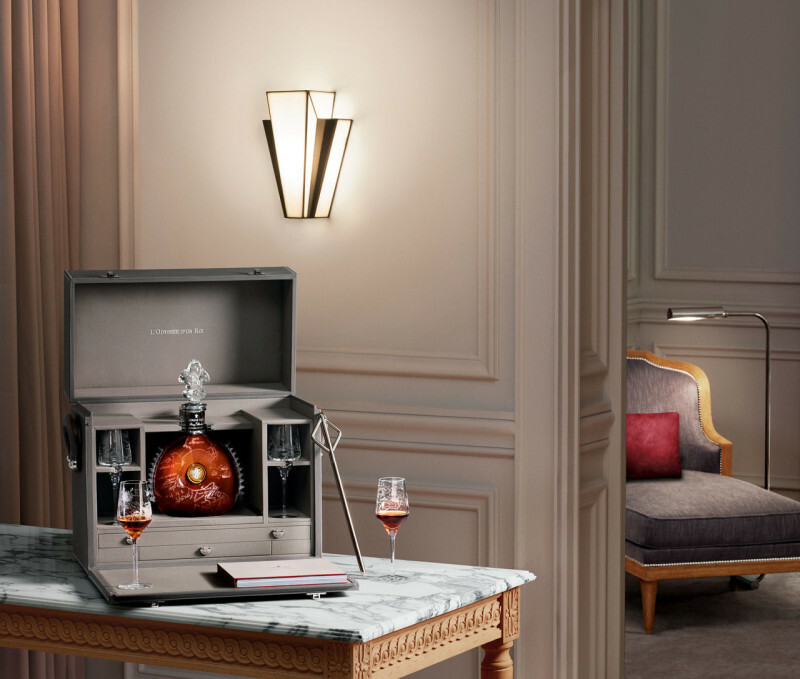 A cognac to savour and admire. 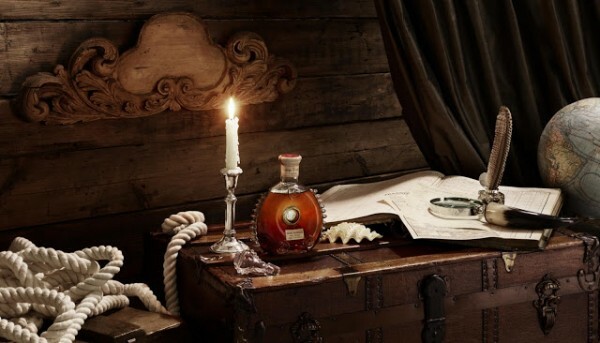 Of all of the legendary travels of Louis XIII, its most important journey is the one taken through time. That voyage begins in the rolling hills and chalky soil of Grande Champagne, the strictly demarcated and most prestigious cru of Cognac. 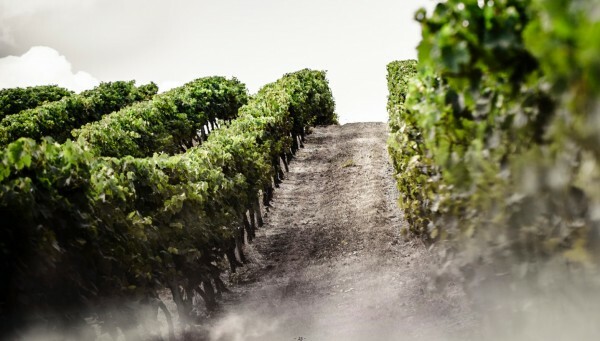 Here the region’s delicate grapes — predominantly the Ugni Blanc variety — are harvested and turned into a low alcohol wine, which is then twice distilled in an onion-domed copper pot still, yielding an eau-de-vie of uncommon freshness and power. 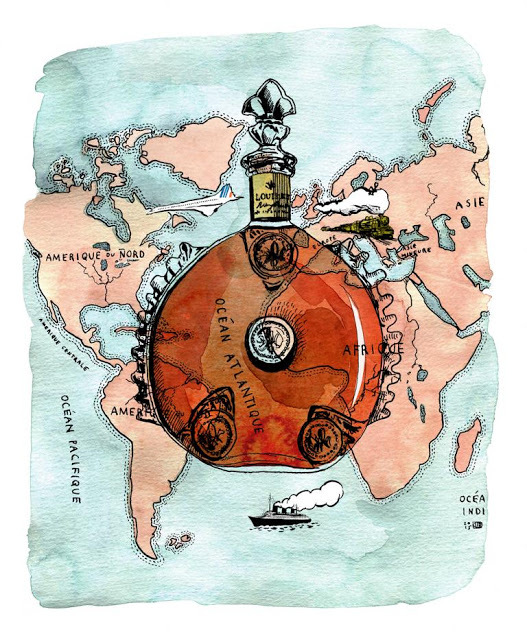 Only the tiniest sliver of this base spirit will be set aside to become, four generations later, a part of LOUIS XIII. 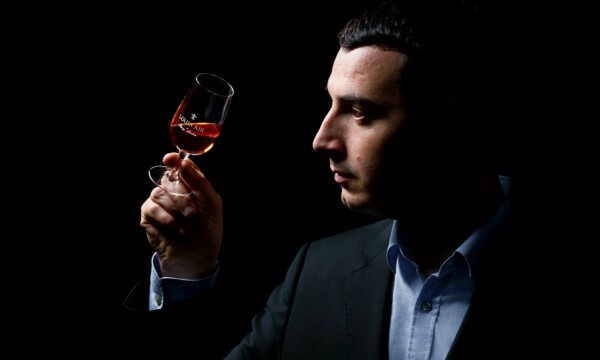 That ageing process takes time, but also a tremendous amount of savoir-faire, an almost mimetic genius possessed by each generation of LOUIS XIII’s cellar masters. 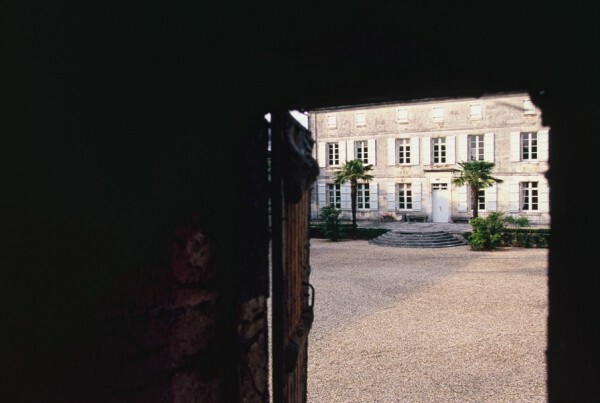 The chais, or cellars, in which they work are dark, incredibly quiet places, the barrels in which the cognac rests covered in thick blankets of spider webs. As the alcohol evaporates over time, the spirit deepens and darkens, releasing a sweet and rich smell that fills the moist air. The keeper of the legend, Baptiste Loiseau, the current cellar master, joined the house in 2007. With each passing year, the cellar master dips a pipette into the barrel and tastes something different. At 20 years, there is almonds, figs and fresh-baked brioche. At 40, candied plums. At 70, honeysuckle and saffron. 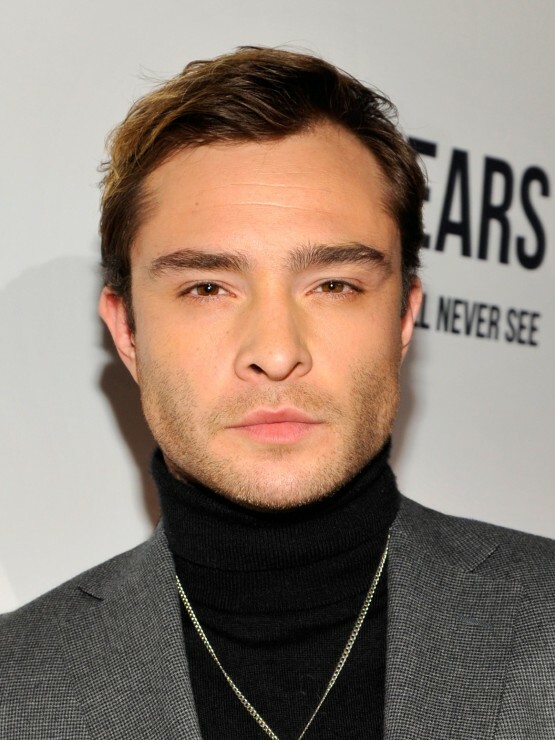 All the while, he is blending different eaux-de-vie, searching for perfection through a process called marriage. By 100 years, hundreds of eaux-de-vie have been married together, resulting in a complex, ineffable flavour. On the nose, it is elegant and floral: dried rose and jasmine — the fragrances of Grande Champagne. These are followed by denser notes like dates, dried fig and walnut. On the palate, the first drop of LOUIS XIII unleashes a ballet of flavours; the walnut and fig aromas soften with those of honey as headier notes — of wax, tobacco and undergrowth — roll in like a wave. The tasting is distinguished by a haunting, lasting finish. 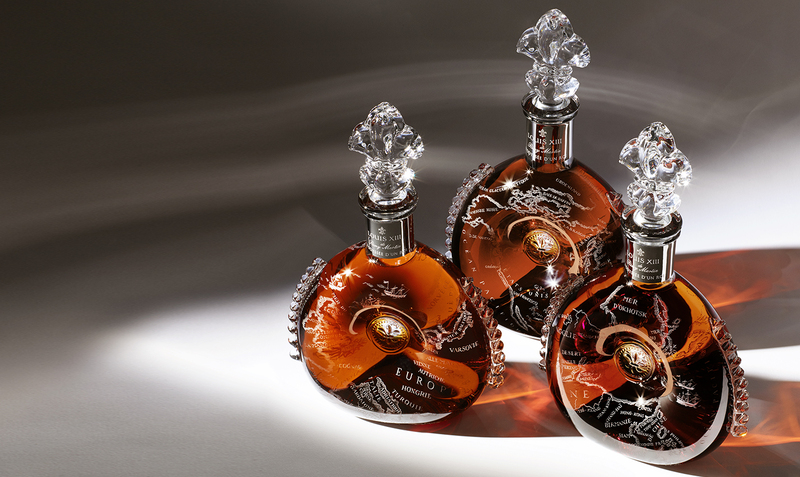 The century-long journey of LOUIS XIII has come to its triumphant end. 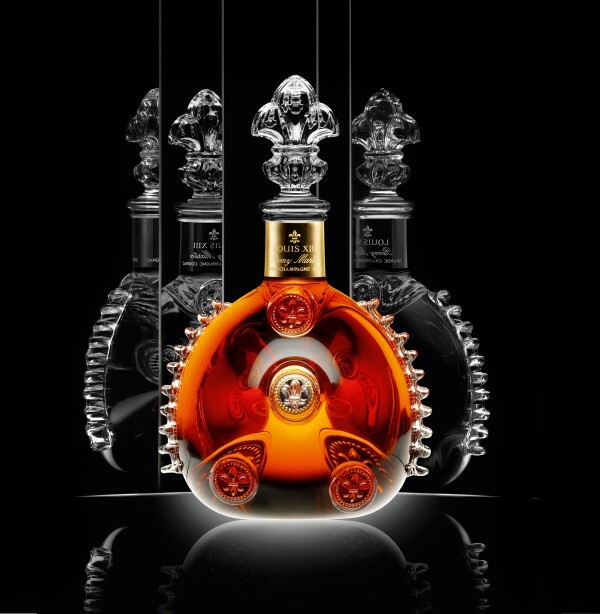 ￼￼L’ODYSSÉE D’UN ROI is a shining testament both to the heritage that created LOUIS XIII and the nature that continues to inspire it. 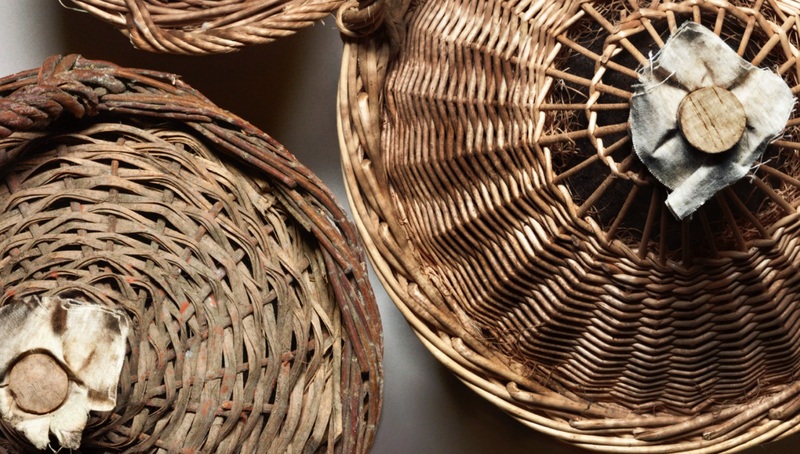 The protection of cultural treasures — whether the art of filmmaking or the art of cognac — requires time, finesse and care. 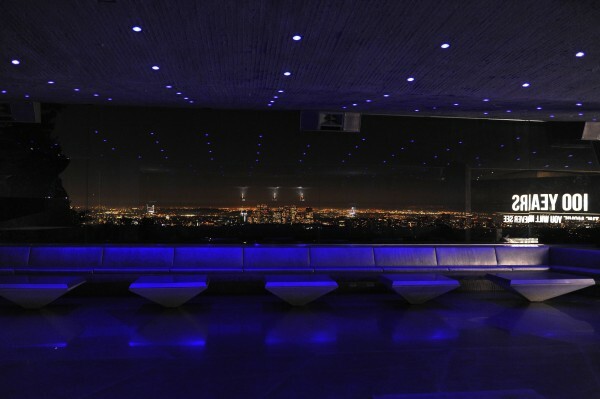 It is a beautiful project, bravo LOUIS XIII! 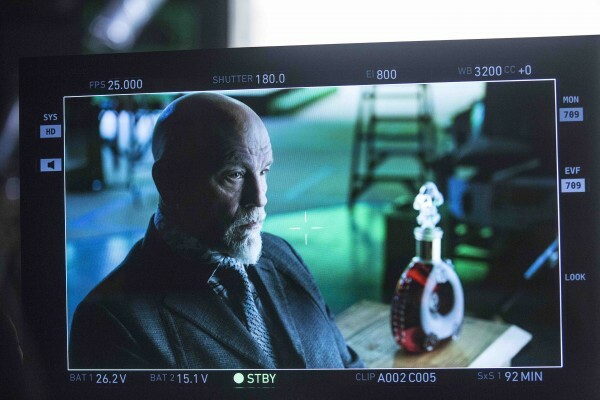 And if you interested, check LOUIS XIII’s other recent project in collaboration with John Malkovich: «100 Years: The Movie You will Never See» by clicking here. When I read about this project, I was immediately drawn to it. Such a cool idea! John Malkovich and director Robert Rodriguez have teamed up with LOUIS XIII Cognac, one of the most luxurious spirits in the world, to make a movie that predicts what life will be like 100 years in the future. 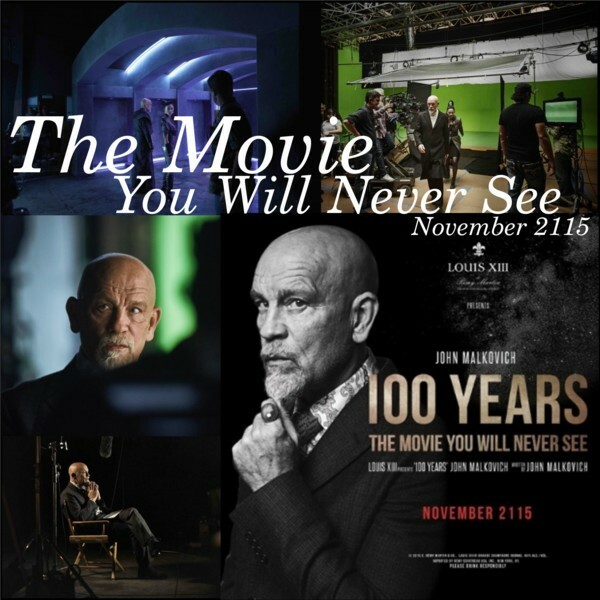 «100 YEARS: THE MOVIE YOU WILL NEVER SEE» won’t be released – and now read carefully – until November 2115. Yes, my dear readers, that means we all will never get to watch it. The inspiration behind it was to draw attention to all the hard work that it takes to make each decanter of LOUIS XIII Cognac. 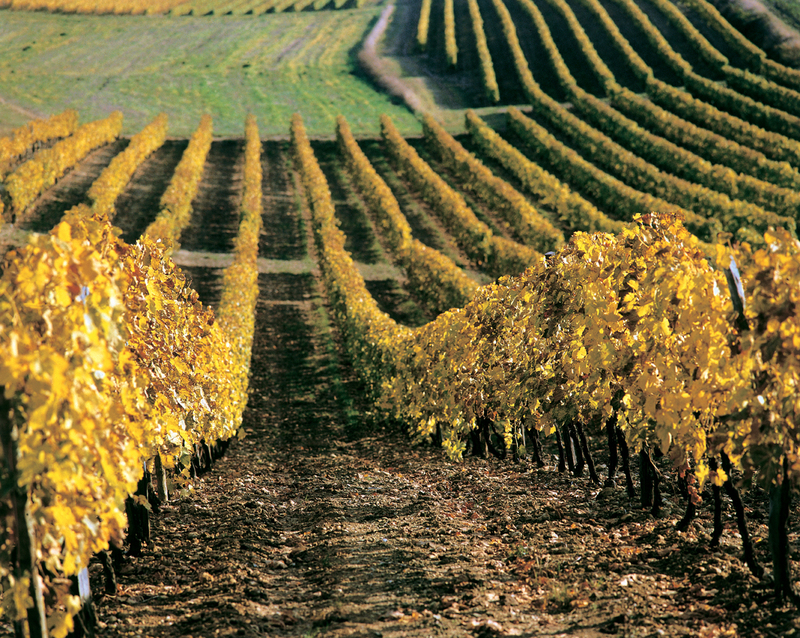 Its grapes grow in the chalky soils of Grande Champagne, the most sought-after area of the Cognac region, in France. Just as four generations of cellar masters dedicate their lives to creating a masterpiece that they will never be tasting, the cast and crew of «100 Years» will never see the final cut of the film. A French art de vivre enthusiast, John Malkovich not only plays the leading role alongside Shuya Chang but also developed the original screenplay for «100 Years». This ground-breaking film comes with a lot of special effects and imagines how our planet might look like in a century in three different scenarios. The first one shows the Earth overtaken by nature after it has been devastated by chemical warfare. 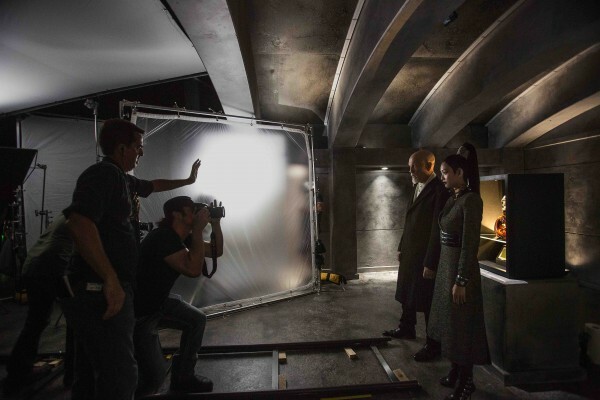 Another explores the idea of a dark world ruled by technology. And in the third hypothetical vision, humanoid robots have taken control of the planet and humans have to run to escape. To ensure that «100 Years» remains secure until its official premiere one century from now, the film was placed in a state-of-the-art safe, created in partnership with Fichet-Bauche, which will open automatically in 100 years when the timing is complete. The custom made piece is a marvel of design, featuring bulletproof glass and a revolutionary timer. Upon the closing of the safe, the door will not open until the countdown is complete, not even with a code or a key, regardless of access to a power source. 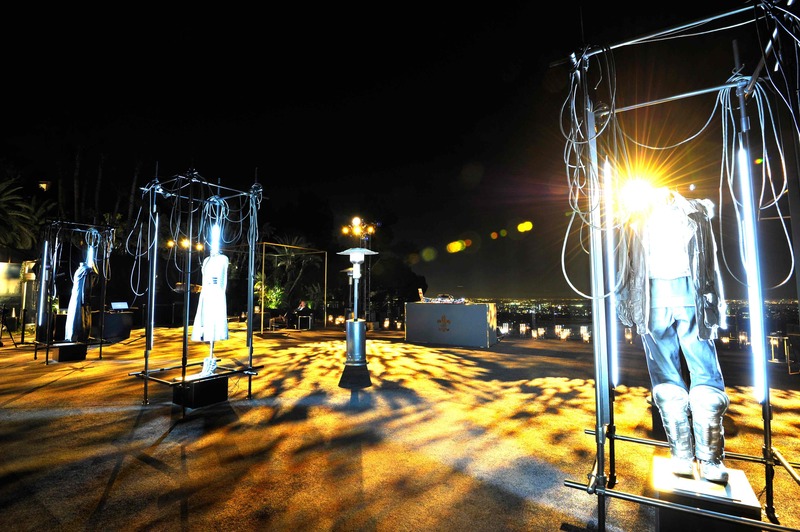 For the premiere on November 18, 2115, one thousand guests from around the world received an exclusive invitation to give to their descendants to attend the big event at the House of LOUIS XIII, the Domaine du Grollet, in Cognac, France. Isn’t it amazing to imagine that some people might look up this post in 100 years and think of us, the ones that never saw the movie. This outstanding project «100 Years» was celebrated on last Wednesday with an exclusive preview of the film’s trailer at James Goldstein‘s Sheats Goldstein Mansion in Los Angeles. 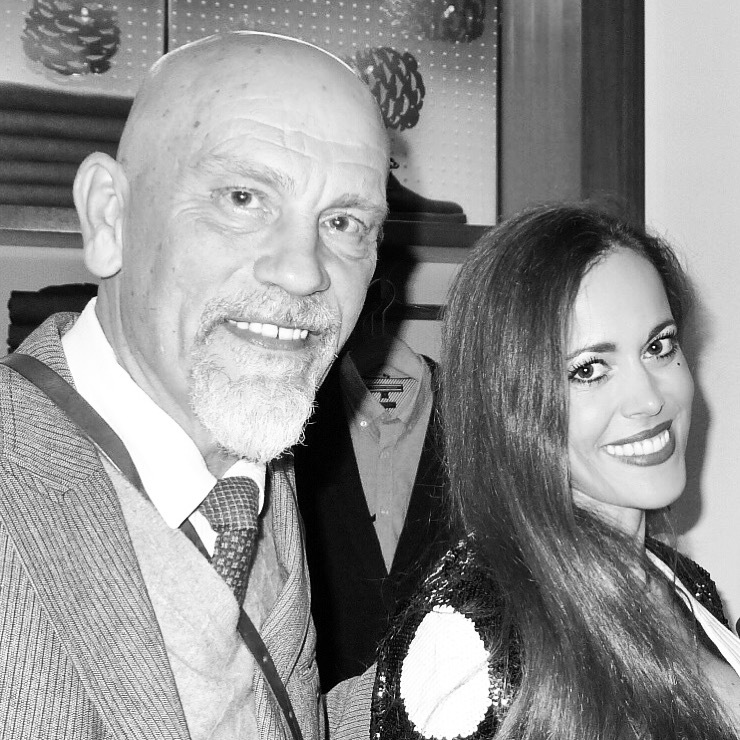 During the invitation only event, John Malkovich, with LOUIS XIII, ceremoniously placed the film reel into the custom safe and set the timer for the official premiere in November 18th, 2115. 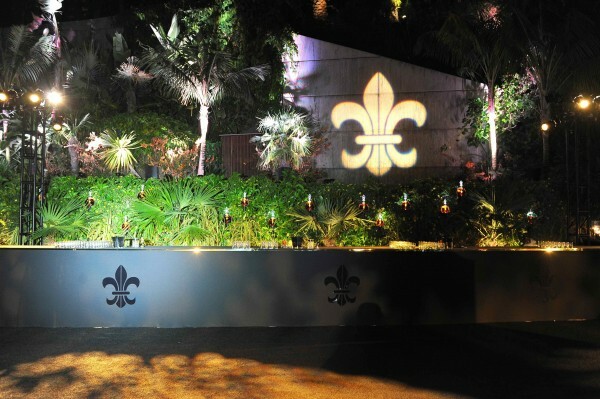 This safe will be transported around the world under high-level security for an international tour beginning in Hong Kong on December 11th, before it reaches its final destination at the House of LOUIS XIII in Cognac. 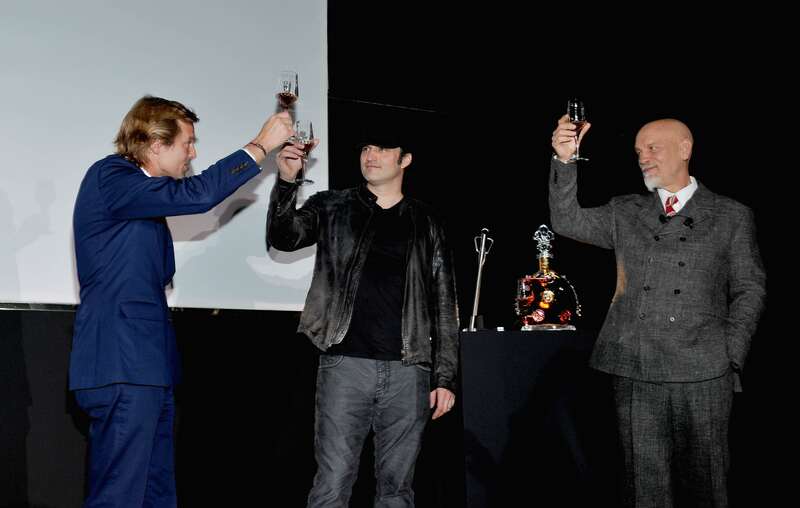 Louis XIII Global Executive Director Ludovic du Plessis, director Robert Rodriguez and actor John Malkovich share a toast. 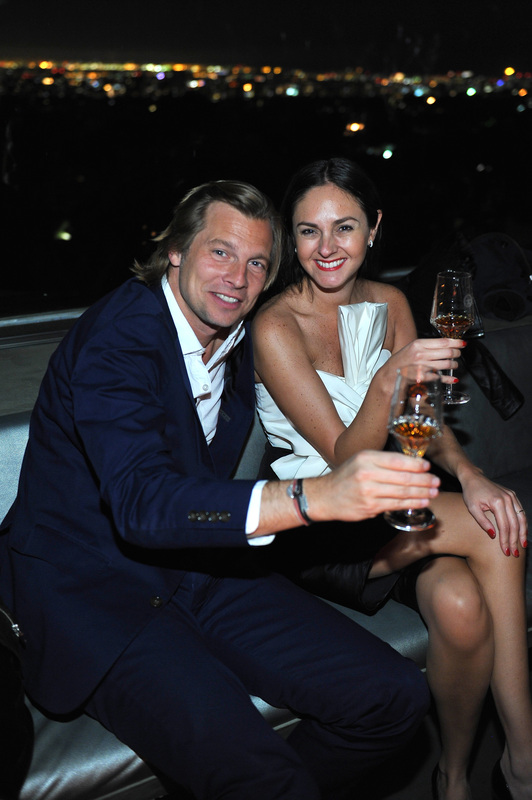 Louis XIII Global Executive Director Ludovic du Plessis at the party in Beverly Hills, California. Have fun watching the exclusive trailer below and join the conversation on social media with #notcomingsoon. 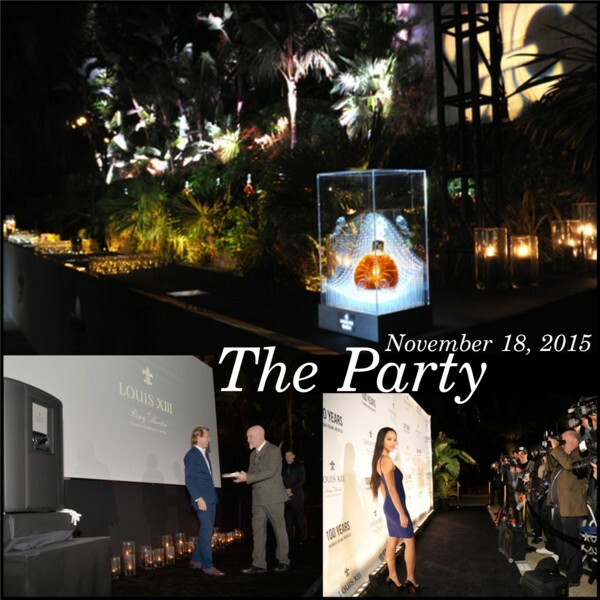 You can follow LOUIS XIII on its social channels including: Instagram, Facebook and Twitter. Either PR masterpiece or craziest film project ever, the concept is pretty cool. Don’t you think?